All of my managers said POTC has been doing way more than expected. He also showed me a 2000+ piece Flying Dutchmen that is supposed to come out in 2012. I have always loved castle and pirate movies, like I said earlier, I am a Knight templar and a pirate captain reenactor. But I have seen more come of these licensed themes then out of regular ones. I don't see the problem with the liscened themes. It is always infinitley better for them to do a related fleshy line inbetween classic lines instead of nothing at all during the brainstorming process. Well, (if this is true) I hope the Flying Dutchman will be a "last hurrah" for the POTC theme like the Imperial Flagship and Joust sets. I'm eager to see classic pirates return, in any form. If this rumor is true, then... there goes my money! I hope that if it's real, that some new minifigs will be in it. Winner of the Third Tournament of Retribution! that's more than the Imperial Flagship so it would be very expensive, especially considering that it's a licensed theme. Imagine, more than 150 euro for a set ? very unlikely, that would be more of a collectors item and that's not really the target group the POTC line is aiming for. From my point of view, I would likely to see Black pearl in USC form, cuz it is best ship in POTC overall. Always survives and apears again...Good old clasic design. But flying dutchman isnt that bad, i hope i could chanege it into black pearl somehow, if it comes out of course. the price would be ridiculus high, at least i hope they would make it as best ship in lego ever. I agree. On the bright side though the more potc Lego produces the more money I save. If potc really is selling so well I don't see why Lego would discontinue it. Look how long Star Wars has been around for. If it's true then this set would be like Diagon Alley in the HP series....almost or actually a last hurrah for POTC. One difference between PotC and Star Wars is that the Star Wars franchise is continually updated in the form of Clone Wars, video games, etc. ; whereas PotC largely is limited to the movies being released. For this reason, it's possible that PotC is neither ending for good nor continuing next year-- perhaps it's simply going to be on hiatus until the next movie is on the horizon. I do agree that any pirates at all is a good thing, but if they are going to end the POTC line, PLEASE give us one East India or Royal Navy ship! Or heck, just give us Lego Pirates 2012. Although the source is less than reliable, lets run with the idea. 2000 pieces would make a great UCS set which although has only been for SW so far could possibly be expanding to other popular licensed themes. 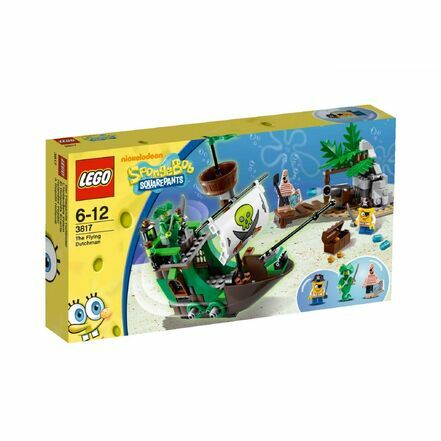 hmmm you are right, I forgot about the sponge bob set, are there any pictures of that yet? but the relevance of D2C being released doesn't have any bearing at all IMO, TLG releases sets when they want to. The Maersk Train came in April, Modular Buildings come whenever and Star Wars also varies with their large exclusives. I don't think a timetable is even appropriate for judging whether sets are true or not, TLG does whatever they want when they want pretty much. As well as "such and such set" is being released doesn't matter much either, again TLG can choose how and of what many large exclusives they want to produce. Well I myself still doubt this I would also hope for other sets, maybe the Interceptor or Dauntless? Basing on this year we got 2 ships. Also would like to see some other sets as discussed in the best and worst idea thread. well...it's time to save up for a 200+ dollar set, sigh, it better be great. They might call it something else, like "the dutchmans bounty" or "Davy Jones' revenge." well if we don't get it, we could always use that version of it. I also thought of something, the set could possibly contain the kraken? that would account for its pretty high piece count, ie the ship could be 1000-1500 parts leaving the rest for the Kraken? There was also a super deluxe Flying Dutchman MOC made by a TLG designer. It looked to be more than 2000 pieces though. Maybe that's the image that was allegedly shown and some misunderstanding took place. My pure speculation is that a second wave won't happen. I think the Pearl might have been a contingency, meant as "the big set" for a second wave that may not come. I hope to be proven wrong though. I think the flying dutchman is an important ship in the movies. And it's a great ship to make an exclusive. I donno, the Imperial Flagship, which is non-licenced, is 1600 pieces @ $180US. A licensed POTC 2000+ piece ship would probably be $250+. That's a pretty expensive set, and out of the price range of the target demographic IMO. Who is the Target Demographic for POTC? honestly and sadly the line has sorta run its course. unless the decide to make "The Dutchman" and that seems highly unlikely there isn't much more places to go with it. I will lament yet another of my preferred Lego lines ending. Its getting hard to find sets now to collect. I have conflicting opinions on this. PotC was a summer release last time, correct? and we did get a mini update in the form of the Black Pearl (which I have very little interest in acquiring) so it could get a few more sets if it sold well. There are also some characters missing, like the Governor AND skeleton pirates from the Black Pearl so there should be other sets TLG cold come up with. There are also additional pirates movies in the works, so since LEGO already has the license for the movies, if the sets did well, I would think they would continue. Lives in a pumpkin eat pumpkin world. Although I sincerely want this theme to stick around, you have some very valid points. The UCS version of the Flying Dutchman doesn't really make sense since there is no advertising for PotC right now, so it would fall all on LEGO. 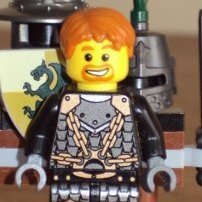 Of course if LEGO would get their heads on straight they'd realize that they would sell plenty to the growing number of AFOL's in the world.